Looking for a fabulous dinner in Green Park? The gourmet-lover in you is going to go to heaven when they eat at The Clay Oven. The next time you're stepping out for a meal, hop over to The Clay Oven. Nestled in the by lanes of Green Park, this restaurant embraces you with its lovely wooden interiors and warm hospitality, and is situated ‘far from the madding crowd’ of the main market. The Clay Oven offers a great dining experience with a range of special delicacies across a North Indian, Mughlai and Chinese menu. The talented chefs know exactly how to cook up an appetising meal to delight even the most discerning connoisseur. From the delectable dal makhni to the flavoursome Butter chicken, your palettes are certain to be delighted. 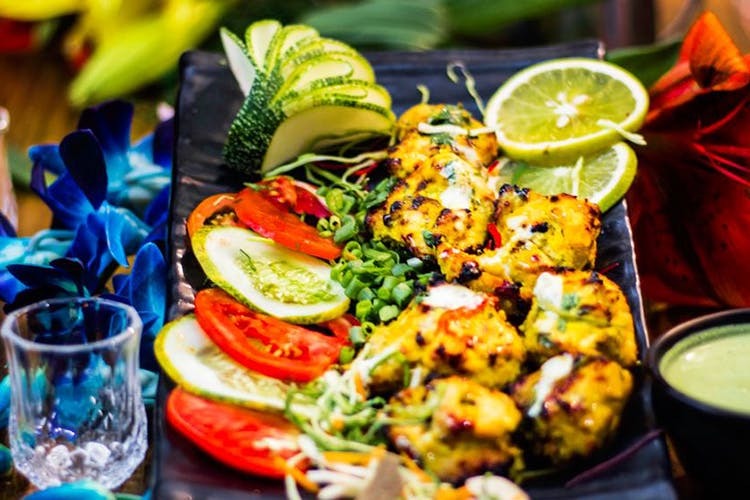 Better yet, their vast list of tandoori starters will definitely leave you quite happily stuffed. We recommend finishing the meal with caramel custard or a sinful hot chocolate fudge to end the feast on a sweet note. What we really took away was how perfect the blend of spices and condiments was – if you're an observant foodie, you'll notice this as well. There's always room in our lives for a restaurant that can serve up a great, flavourful meal and The Clay Oven definitely delivers that.